Lung cancer is the leading cause of cancer deaths worldwide. Every year, it causes more than 1.6 million deaths; more than breast, colon and prostate cancers combined.1 Non-small cell lung cancer (NSCLC) accounts for 87% of all patients with lung cancer.2 The development of immune checkpoint inhibitors has revolutionised the treatment of metastatic NSCLC. However, approximately 30–40% of patients with NSCLC present with stage III disease and this is, in the majority of cases, unresectable.3 Stage III NSCLC is a heterogeneous disease that includes locally advanced primary tumours that have infiltrated mediastinal organs, involve mediastinal lymph nodes, or are larger than 7 cm.3 The standard of care in this patient group is concurrent chemotherapy and radiation, which has a 5-year survival rate of only 15–20%,4 and there have been no significant treatment advances in decades. 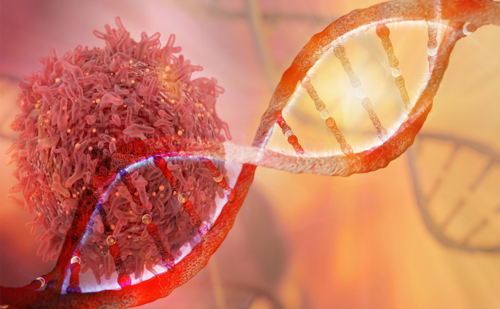 However, recent data on durvalumab, a programmed cell death-ligand 1 (PD-L1) inhibitor, suggests that immunotherapy could become the new standard of care for patients with stage III, locally advanced NSCLC. 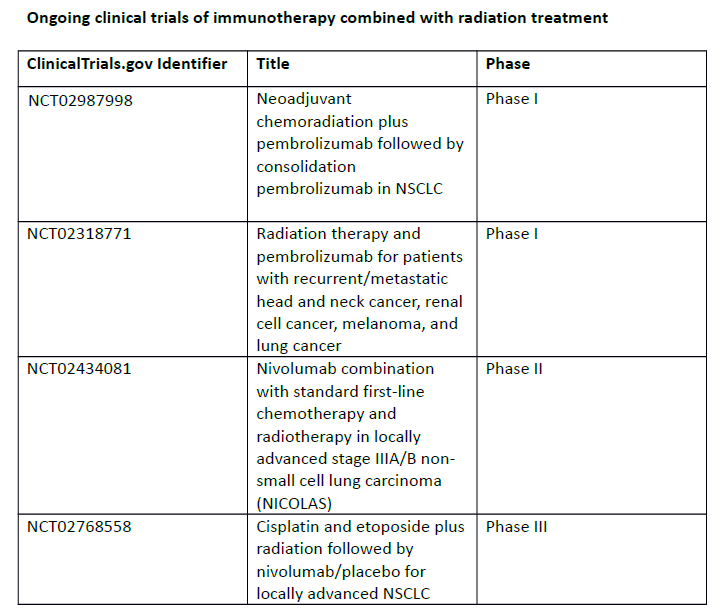 As a result of these data, the Food and Drug Administration (FDA) approval of durvalumab (Imfinzi?, AstraZeneca) has been expanded to include the treatment of patients with unresectable stage III NSCLC whose disease has not progressed following concurrent platinum-based chemotherapy and radiation therapy.6 Durvalumab is the first immunotherapy to be approved for this indication. It remains to be seen whether these impressive results for PFS will translate to improved overall survival. However, as a result of this study, immune checkpoint inhibitors are likely to become the standard of care in stage III unresectable disease. These findings will have an impact on a large number of patients. With the increasing availability of computed tomography (CT) screening for lung cancer,8 it is likely that NSCLC will be detected at earlier disease stages in future. The results of the PACIFIC trial represent the first steps forward in the incorporation of immunotherapy into the treatment paradigm for non-metastatic NSCLC. 1. International Association for the Study of Lung Cancer (IASLC). Lung cancer facts and statistics. Available at: wclc2017.iaslc.org/wp-content/uploads/2017/09/2017-WCLC-Fact-Sheet-Lung-Cancer-Final.pdf (accessed 20 February 2018). 2. Govindan R, Page N, Morgensztern D, et al. Changing epidemiology of small-cell lung cancer in the United States over the last 30 years: analysis of the surveillance, epidemiologic, and end results database. J Clin Oncol. 2006;24:4539-44. 3. Detterbeck FC, Boffa DJ, Kim AW, Tanoue LT. The eighth edition lung cancer stage classification. Chest. 2017;151:193–203. 4. Curran WJ Jr, Paulus R, Langer CJ, et al. Sequential vs. concurrent chemoradiation for stage III non-small cell lung cancer: randomized phase III trial RTOG 9410. J Natl Cancer Inst. 2011;103:1452–60. 5. Antonia SJ, Villegas A, Daniel D, et al. Durvalumab after chemoradiotherapy in stage III non-small-cell lung cancer, N Engl J Med. 2017;377:1919–29. 6. Food and Drug Administration (FDA). 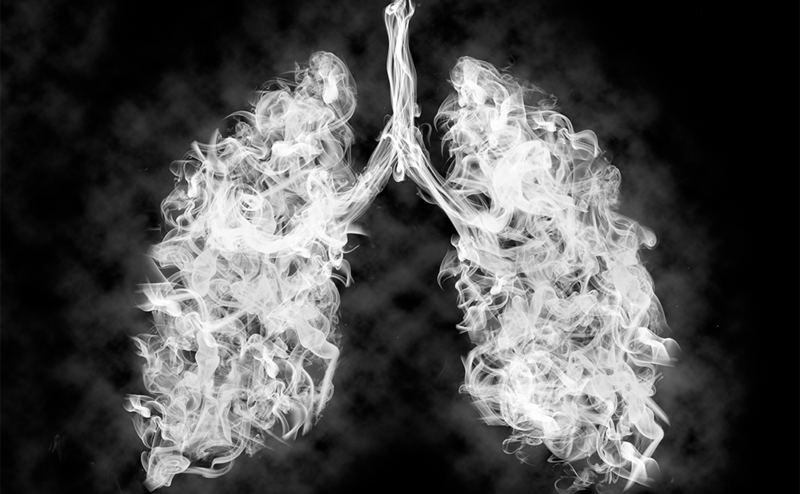 FDA expands approval of Imfinzi to reduce the risk of non-small cell lung cancer progressing. Available at: www.fda.gov/NewsEvents/Newsroom/PressAnnouncements/ucm597217.htm (accessed 20 February 2018). 7. Charft JE, Forde PM, Smith KN, et al. Neoadjuvant nivolumab in early-stage, resectable non-small cell lung cancers. J Clin Oncol. 35 Suppl. 8508. 8. Baldwin DR, ten Haaf K, Rawlinson J, Callister MEJ. Low dose CT screening for lung cancer. BMJ. 2017;359:j5742.